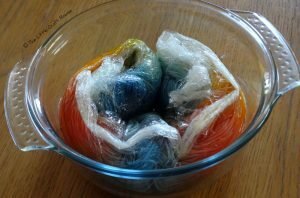 After the fun of dyeing yarn with vinegar and food colouring I went exploring to see what other methods there are for dyeing yarn. 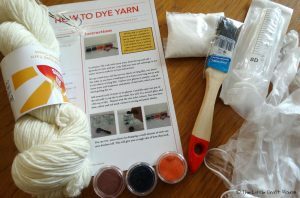 I discovered this Yarn Dye Kit on Devon Sun Yarns website that has everything you need to get started yarn dyeing. The whole kit uses food grade materials so it safe to use in your kitchen and to have some fun with the kids. 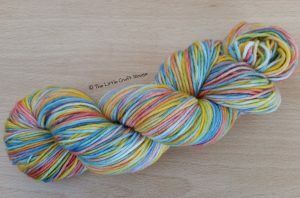 There is more than enough supplies to dye more yarn than the kits supplies if you want to purchase it separately. 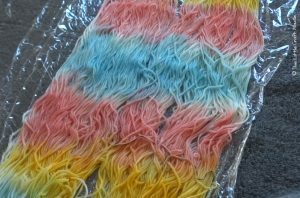 The benefit to using Citric Acid is that it is a whole lot less smelly and the Dye Powders give you better control over not only the colour but the colours are a whole lot brighter and vivid. 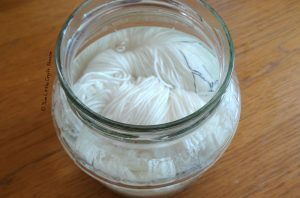 In a bowl that is big enough for your yarn to be submerged add some warm water and citric acid. 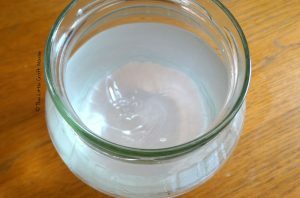 I used 1.5 tbsp for 1 Lt of water. Let it dissolve. Prepare your colours. 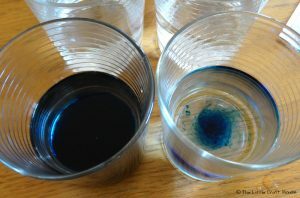 Add a small amount of powder to each pot of water. I made one pot lighter with a small amount of powder and another darker with a slightly larger amount of powder. 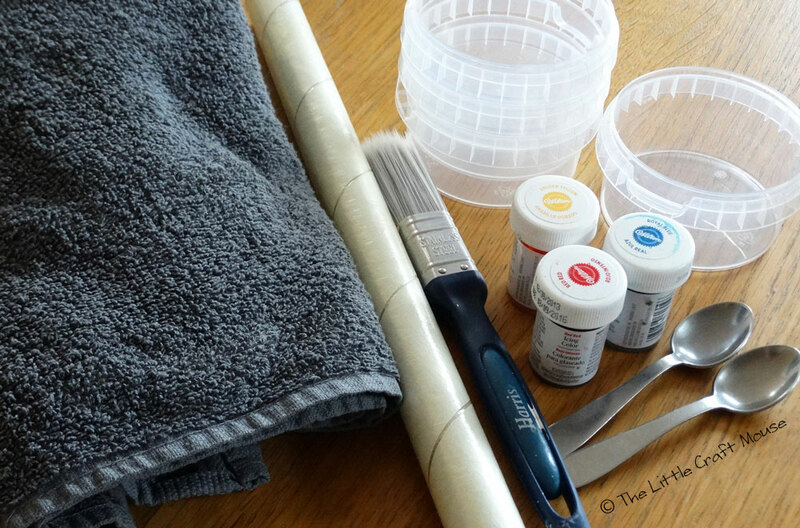 Prepare your work space with a towel and clingfilm. 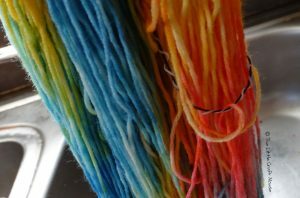 Remove your yarn from the soak. 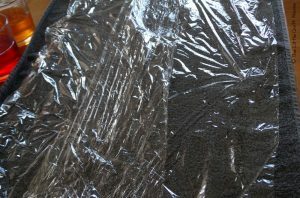 Carefully wring it out until its still damp and lay it out on the clingfilm. Spread it out as much as possible. 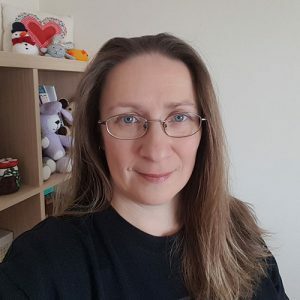 Now for the fun part get colouring with the paintbrush. 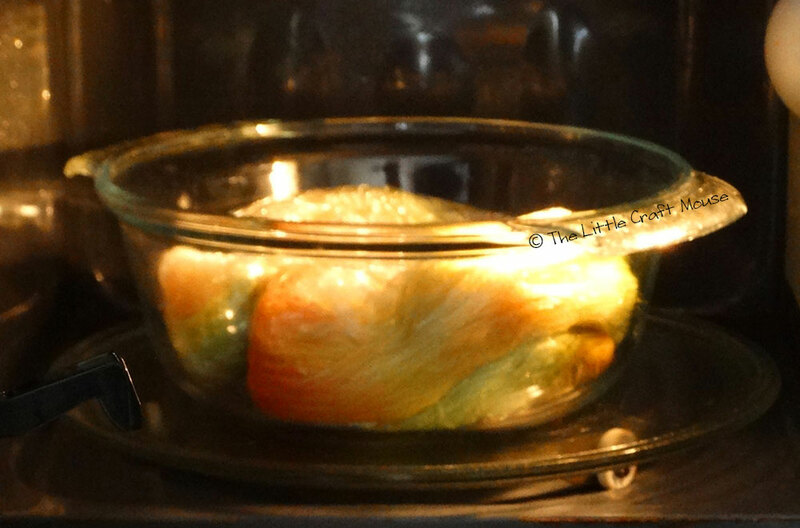 Wrap the clingfilm around and put into a microwave safe bowl. Cook on high for 2-3 minuets and let cool for 5 minuets. 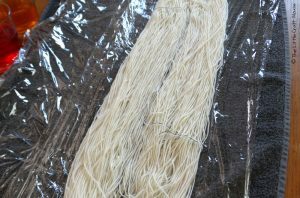 Repeat this three or four time to ensure the colour has been absorbed into the yarn and the water runs clear. 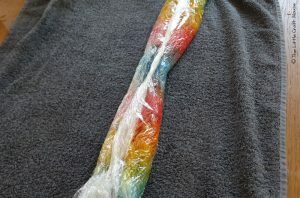 Let cool and carefully remove from the clingfilm and wash in warm water. Leave to soak. Wring and hang to dry. 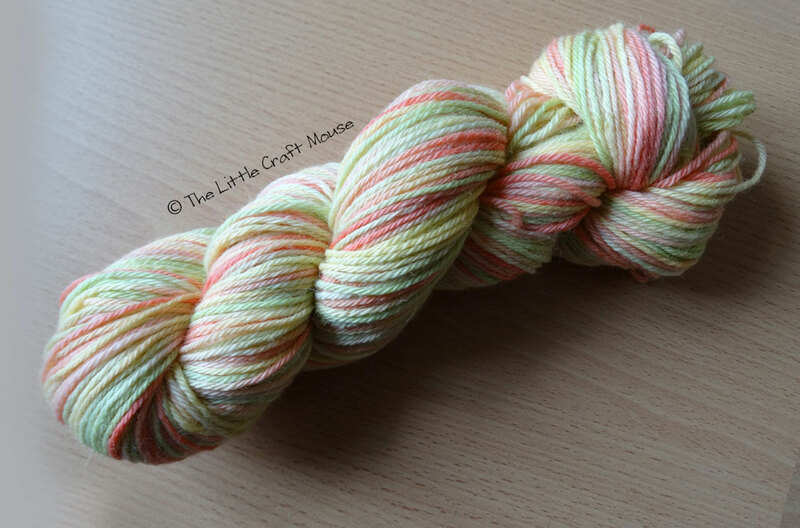 Once dry you can enjoy your yarn.